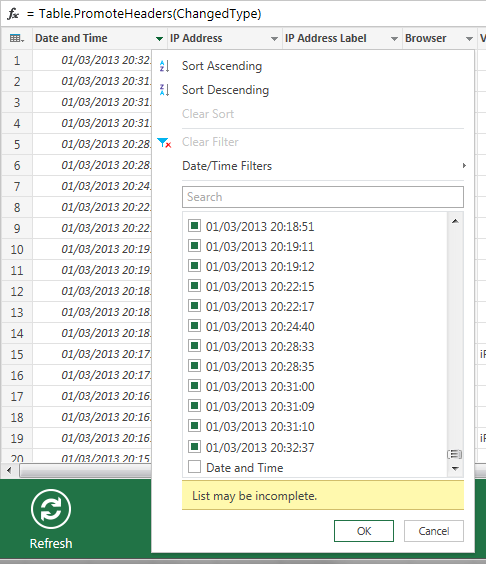 Obviously I can’t let everyone else have all the fun, so I thought I’d show how you can use Data Explorer to import data from multiple files, clean it, load it into a single table and then report on it. First of all, the data. 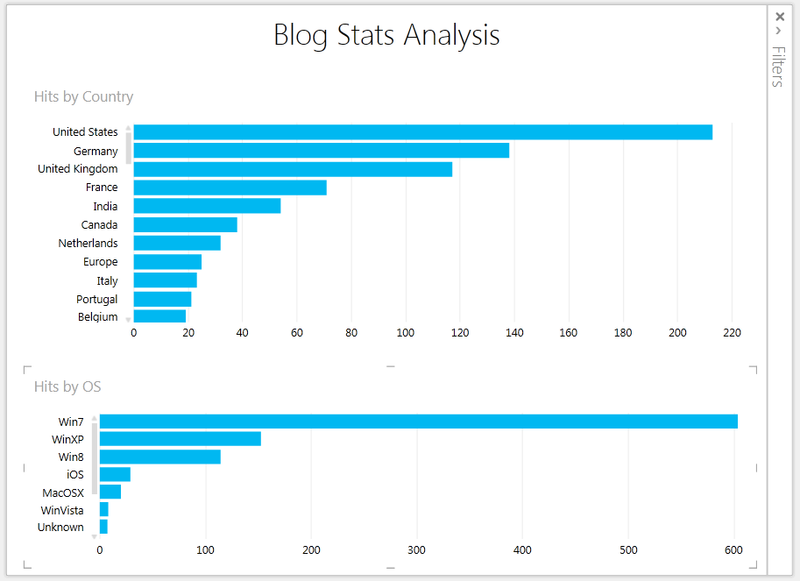 Like all bloggers I have an unhealthy interest in my blog stats, and one of the ways I monitor the hits on this site is using Statcounter. I’m also a bit of a miser, though, so I only use their freebie service and that means that I only get to see stats on the last 500 site visits. How can I analyse this data then? Well, Statcounter allow you to download log data as a csv file, so at about 2:30pm I downloaded one file and at 8:30pm I downloaded another. 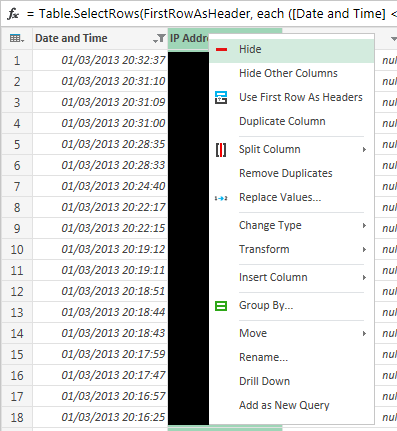 Just a quick question…what’s the fundamental functional difference between this and PowerPivot? Aside from the available data sources (and the product architecture) what would cause people to use one over the other? 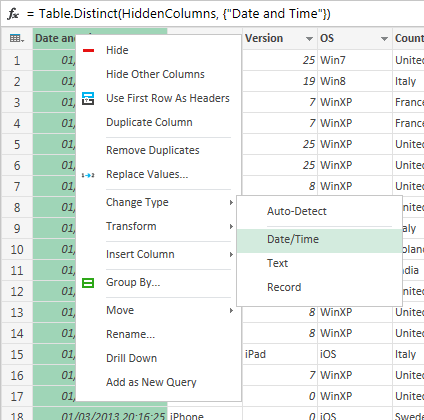 Basically, Data Explorer is all about moving data from external data sources, transforming it, and bringing it into Excel, and also making that a repeatable process. 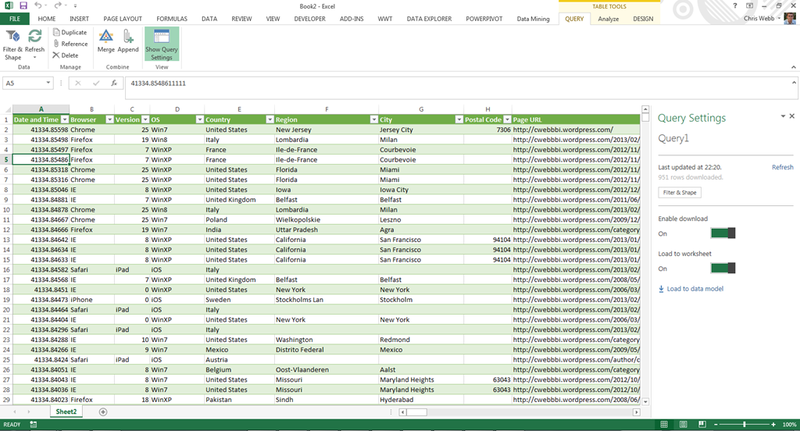 PowerPivot is very different: it’s all about being able to do fast, ad-hoc analysis and complex reporting on the data. Although I highlighted the scenarios where they are interchangeable in this post, in a lot of ways they are very different tools. Thanks for the response Chris, best way to see similarities/differences is using it. And with that I’m off to run through your tutorial posts. Hi Bertrand, wouldn’t it be easier to use the ‘Import From Folder’ option? That might be easier. This is what I tried to do, as presented in your post. The pb I have is that after the binarycombine step (when you hit the icon with the two down arrows), only the first Excel file appears. 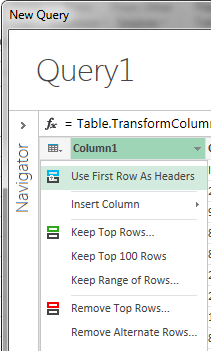 In the Data Explorer window you might only see a sample of the data – what happens when the query actually executes in Excel? Same result. Only one file is processed. 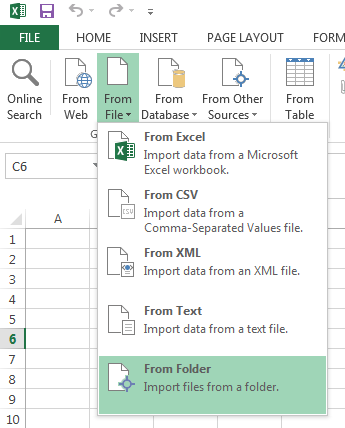 But things are getting worse: As I was making some more tests, I edited the values in one file, and now the query returns an error “DataFormat.Error: The input could not be recognized as a valid Excel document. Details: Binary”. 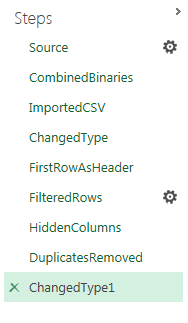 Yet the files in my test could not be simpler ! 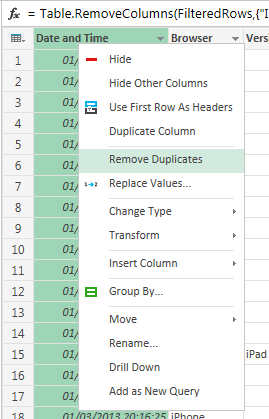 It seems that the Binary.Combine(Source[Content]) statement does not work with Excel files and that a different approach must be used. Strange. I’ve also seen some buggy behaviour on the current build when importing from multiple text files, so this could be related. I see you’ve asked this question on the Data Explorer forum – I think the dev team are going to be the best people to help you with this. Chris, Devin, you made my day ! Thanks. I have the same problem as Bertrand. How did he solve the problem? Does anyone know if the use of 32 bit excel and 32 bit power query will make a difference if your operating system is a 64 bit? No, it should not make any difference whether you use 32 bit or 64 bit Excel I think.